"Great gaming mouse, no issues." 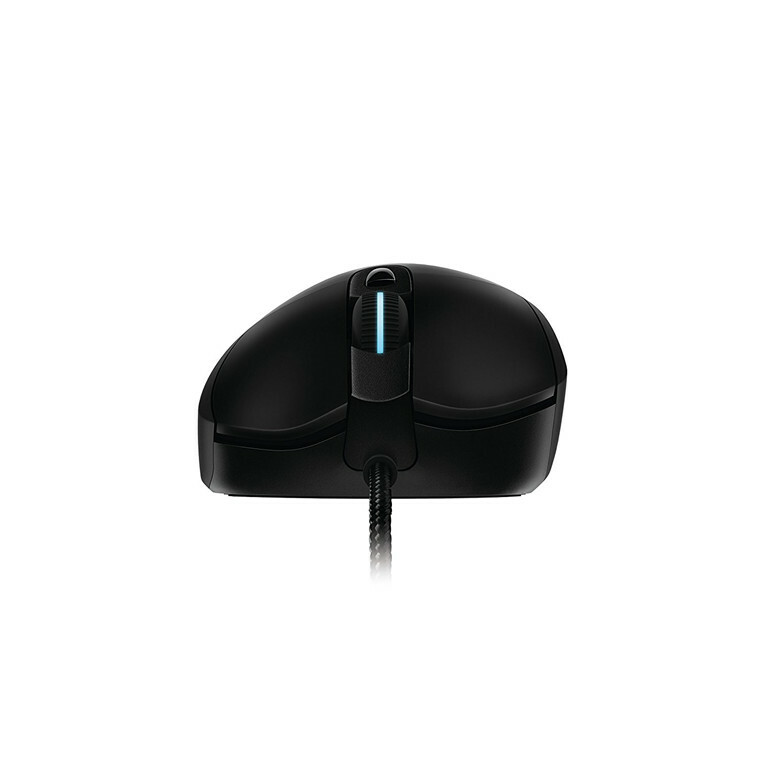 "After using this mouse for a few weeks after purchase, I began to realize how good this mouse really is. Its equipped with 2 clicky side macros and the Dpi can go up to 12k. 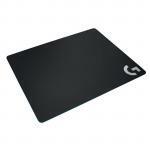 The grip I use for this..."
"This is a very good gaming mouse. 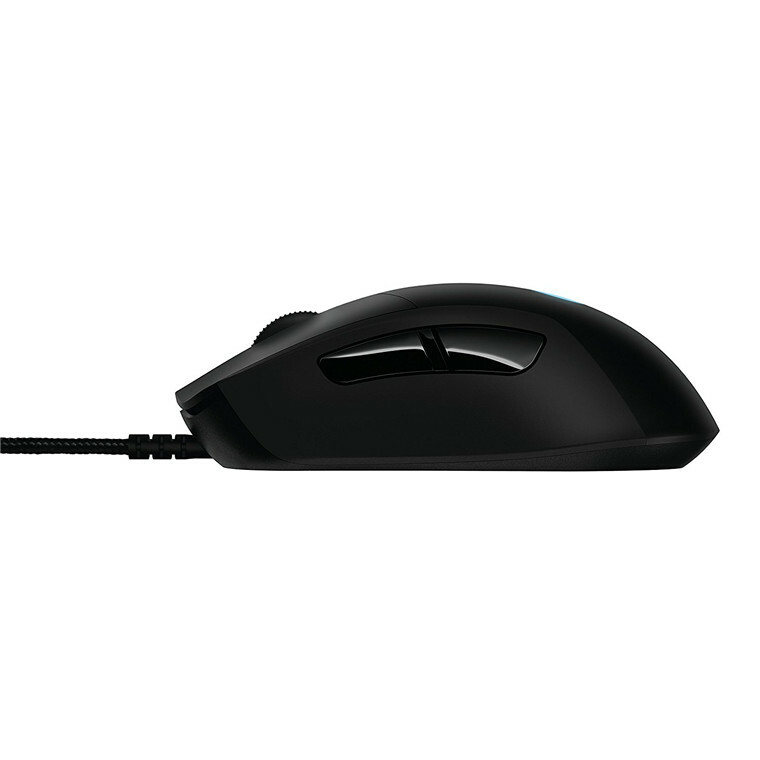 Would recommend if you are new to gaming or if you are looking for a cheap gaming mice. I have been using it for a couple months." 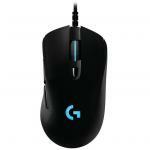 G403 Prodigy enhances your play with advanced gaming-grade performance in a lightweight, ergonomically designed body. G403 is up to 8x faster than standard mice - which means when the mouse is moved or clicked, the on-screen response is near-instantaneous. Prodigy is equipped with our most advanced optical sensor for superior accuracy, speed, sensitivity and consistency. Designed to fit your hand and style of gameplay with lightweight construction, rubber grips, and a 10g removable weight. Customizable with up to 16.8 million colors, G403 Prodigy also has an onboard memory so you can take your settings with you wherever you go. With G403 Prodigy, the game gets better and so do you. Hey, do you guys know what the sensor this mouse have? After using this mouse for a few weeks after purchase, I began to realize how good this mouse really is. Its equipped with 2 clicky side macros and the Dpi can go up to 12k. The grip I use for this mouse is palm grip and my hands are pretty big (25cm Handspan) and this mouse fits my hands comfortably. 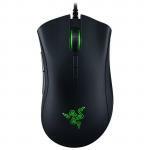 -Weight choices are only +10gAfter using this mouse for a few weeks after purchase, I began to realize how good this mouse really is. Its equipped with 2 clicky side macros and the Dpi can go up to 12k. The grip I use for this mouse is palm grip and my hands are pretty big (25cm Handspan) and this mouse fits my hands comfortably. Great gaming mouse, no issues.Great gaming mouse, no issues. This is a very good gaming mouse. 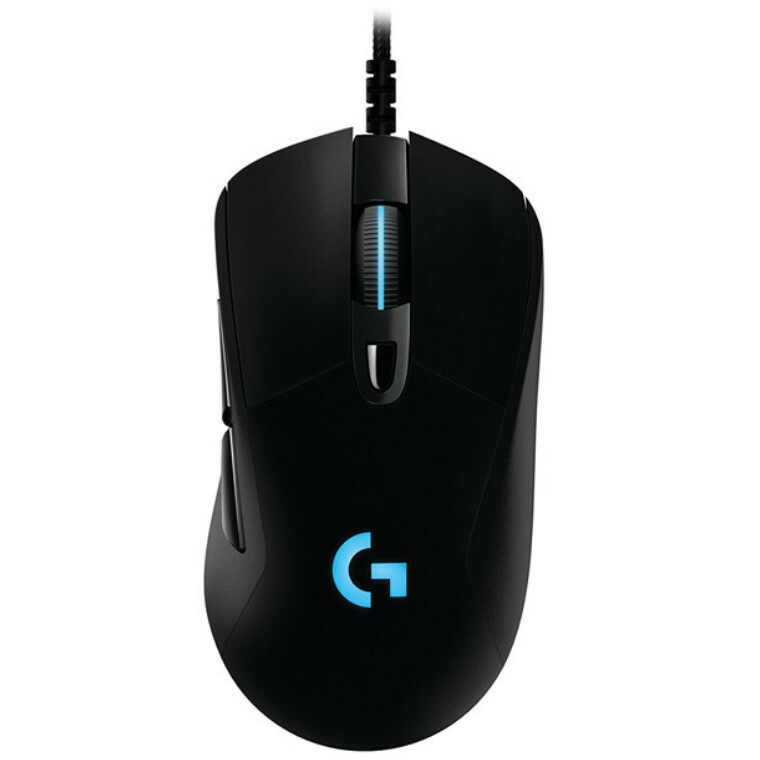 Would recommend if you are new to gaming or if you are looking for a cheap gaming mice. I have been using it for a couple months.This is a very good gaming mouse. 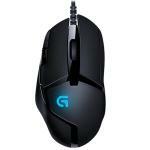 Would recommend if you are new to gaming or if you are looking for a cheap gaming mice. I have been using it for a couple months. awesome precise, programable mouse. perfect for fortnite!awesome precise, programable mouse. perfect for fortnite! Comes with weight and programmable.Good mouse. Comes with weight and programmable. Bought this to replace my trusty mx518 after it finally gave up from years of abuse. Impressive finish and feels great to use. Love the classic design and a braided cable will always win me over.Bought this to replace my trusty mx518 after it finally gave up from years of abuse. Love the classic design and a braided cable will always win me over. View MoreI spent ages looking for a new mouse to replace my trusty Microsoft Intellimouse Optical USB, which is possibly one of the best mice ever made and was still going strong after ten years, but was looking a bit tired. 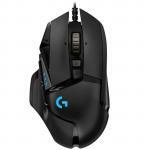 I settled on the Logitech G403. 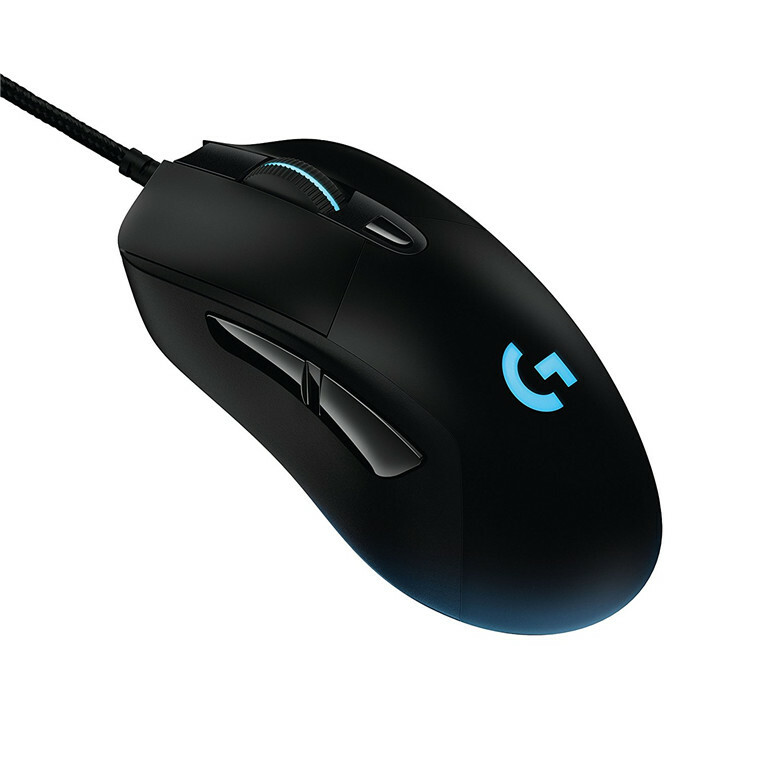 I'd say the Logitech G403 is the perfect mouse, if it wasn't for the fact the middle button is too stiff. The size, shape and buttons (aside from the middle button) all feel perfect to me. But if you use the middle button a lot like I do , the amount of force required to press it can lead to a sore tendon at the base of whichever finger you use. Other good points are the mouse is lightweight, the cord is a generous length and the cord is soft and flexible. 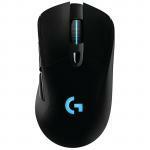 Solid gaming mouse, doesn't skip a beat with low sensitivity FPS gaming, recently upgraded from the G402. Good purchase.Solid gaming mouse, doesn't skip a beat with low sensitivity FPS gaming, recently upgraded from the G402. Good purchase. This mouse has a fantastic shape and feel, with gold buttons and a light construction but mine has just now failed. The tracking is steppy and glitchy now making FPS games unplayable. The triggers seem to have lost a lot of the clickiness and depth making for a lot of misclicks. So I cannot recommend this mouse in regards to durability. But to the mouse's credit, this is after 300+ hours of Overwatch. and at least a year of normal use.This mouse has a fantastic shape and feel, with gold buttons and a light construction but mine has just now failed. The tracking is steppy and glitchy now making FPS games unplayable. The triggers seem to have lost a lot of the clickiness and depth making for a lot of misclicks. So I cannot recommend this mouse in regards to durability. But to the mouse's credit, this is after 300+ hours of Overwatch. and at least a year of normal use. Sturdy build with RGB lighting! Great for FPS gaming!Sturdy build with RGB lighting! Great for FPS gaming! Bought this mouse couple of weeks ago and I love it!Bought this mouse couple of weeks ago and I love it!